Experiencing Colorado’s great outdoors is even more fun when you bring your dog! Dogs are allowed in most Colorado State Parks, where they can enjoy camping, hiking, hunting, boating, and swimming with you. As you plan your spring and summer recreation, be sure to check Colorado Parks & Wildlife’s Bring the Dog Along! webpage. 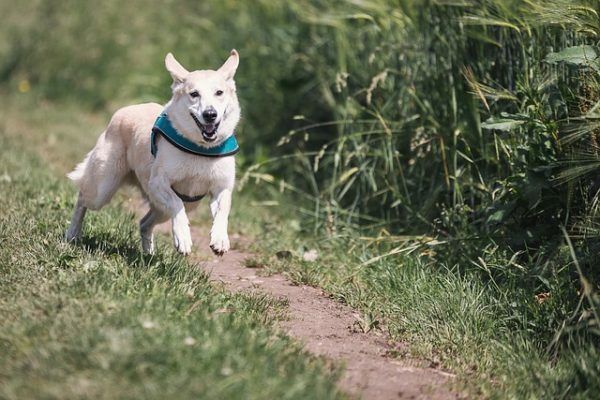 Here you’ll find recreation ideas along with tips for keeping your dog safe in the outdoors. Also see their Dog Etiquette page for more helpful tips. Keep in mind that dogs are not allowed in Roxborough and Harvey Gap State Parks, and a few others restrict pets to certain areas in the park, so check the individual park’s webpage before heading out with your four-legged friend. Previous Literary Libations: Get Lit with DPL and Denver Distillery!